stairs_carpet originally uploaded by Luke H.
I've lived in houses with carpeted staircases as well as uncarpeted ones. I prefer carpeted stairs. My favorite carpeted memory is of my French grandmother's apartment building in Paris where the central grandiose staircase [with retro-fitted elevator in the center] was carpeted: the first flight in a utilitarian carpet [possibly dark red?] to protect against the rigors of weather and Parisian sidewalk debris, and the rest of the floors in an elegant, patterned carpet. Having such positive feelings for carpeted stairs, I was delighted to come across this article titled "The right carpet on stairways lifts the tone of a house" by Joy Kraft from the 11/24/2007 Cincinnati Enquirer. It's -unfortunately- no longer available online, but I will try to recapture the important points. + Many homeowners view their staircases as a focal point or a "accent area, not an afterthought." + Whereas stairs used to be carpeted with the same carpet used in the rest of the house, now stairways are done in different colors or patterns, perhaps even "blending two colors." Different colors might be complementary. The article states "from a safety standpoint, carpeted stairs prevent sliding." + Ensure that the scale of the pattern works for the space, and with other patterns. If you are combining patterns, make sure that the patterns have different scales. + a runner ranging in width from 27 to 32 inches ["The average house has 12 steps and 13 risers requiring about 20 feet of material."] leaving approximately 6 inches of hardwood visible on each side of the runner. + broadloom carpet that can over the entire step, where the edges can be wrapped around the edge of the step or bound. This approach is more labor intensive. 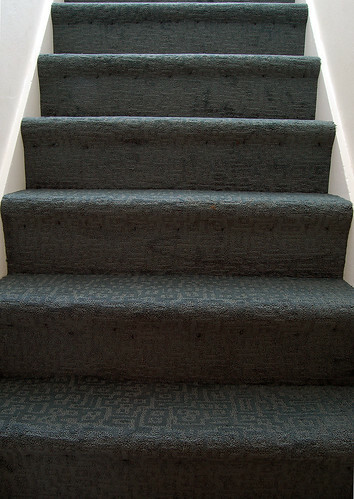 The best carpet style to use on stairs is one with a low pile. In other words, I wouldn't recommend Shag and Cable Carpets. I do, though, heartily recommend carpeted stairs! + from The Carpet & Rug Institute, STANDARD for INSTALLATION of RESIDENTIAL CARPET CRI 105 - 2002, note the section for carpet on stairs. Hi there, your readers might also be interested in part 1 of the how to install carpet on stairs video series. Thanks so much for featuring an Expert Village video in your post! Expert Village, thanks for adding that link! And, thanks for visiting. 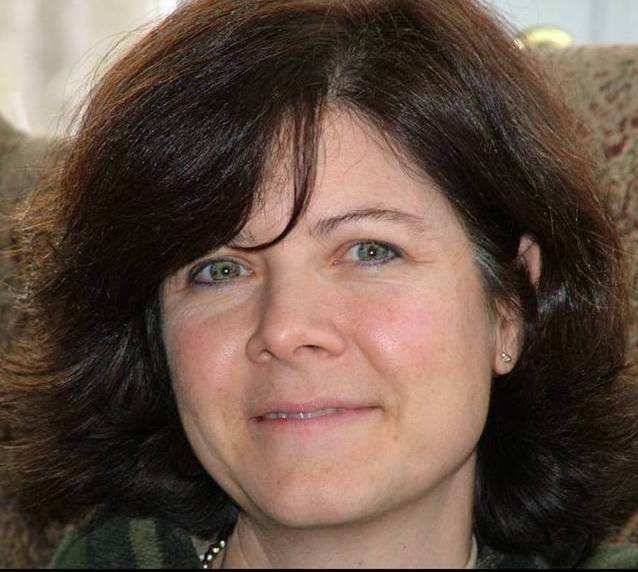 Meet Ann Hurley, Creativity Personified! What About Shag and Cable Carpets?